San Jose Earthquakes will be aiming to make amends for a 2-1 loss to Houston Dynamo when they host Sporting Kansas City at Avaya Stadium. San Jose made a slow start to the season, but the fact that they outclassed Portland Timbers 3-0 in their last home game in MLS, is certainly giving fans a reason for optimism ahead of the visit of Sporting. The Wizards, on the other hand, are undefeated in previous five league fixtures, but they have yet to record a win on the road in the 2019 season. Seeing that the Earthquakes impressed in their last home fixture, we believe that the two teams are going to share the spoils at Avaya Stadium on Sunday morning. 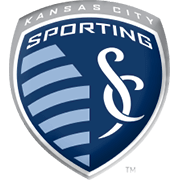 In their last meeting in MLS Sporting Kansas City crushed San Jose Earthquakes 5-1, but a low-scoring affair is on the cards this time out. Anibal Godoy is a professional footballer who plays for Panama national football team. The powerful midfielder was born on February 10, 1990 and he has been playing for los Ticos since March 4, 2010 when he made his debut for the national team. Anibal Godoy played full 90 minutes in the 2-1 win over Venezuela and he scored his first goal for Panama four years late in a 3-1 victory over El Salvador. Speaking of his club career, Godoy played for Chepo of Panama from 2007 to 2010 and he moved to Europe in the summer of 2013, signing a deal with Hungarian outfit Honved. After playing 24 league games (one goal) for Honved, Godoy signed for Major League Soccer club San Jose Earthquakes in August 2015. Anibal Godoy is a defensive midfielder and his preferred foot is left. His contract with San Jose should expire in December, 2017 and it has to be noted that he began his youth career Arsenal de Sarandi of Argentina.